In case you're not up to speed, this is the tenth and final bake in The Great Blogger Bake Along series. Read about it here. Alright, friends. It only took a month for my mom and I to be able to coordinate a good day for this finale, but it's here! Honestly, having finished these final THREE bakes, I realize we could have easily done this sooner, but I assumed they would be time consuming and fussy like some of the previous bakes. Surprisingly, I was able to do all three in just a few hours! Like I said, these bakes were really pretty quick. The ingredients were few and came together without fuss. The baking times were short, the prep work was minimal, and the final presentations were easy. Truthfully, anyone could have made these little bakes and I would encourage even the most amateur bakers to give one or all of these a try. The challenge here, was doing all three in an allotted time, I'm sure. However, I had all day, but still managed to breeze through them without a problem. I nixed the chocolate on the lemon tart because I don't think lemon and chocolate are a good mixture. Would either of us bake these again? The scones tasted more like semi-sweet biscuits and I found them sort of blah. They are supposed to be served with jam and cream, and without those additions they are nothing to write home about. 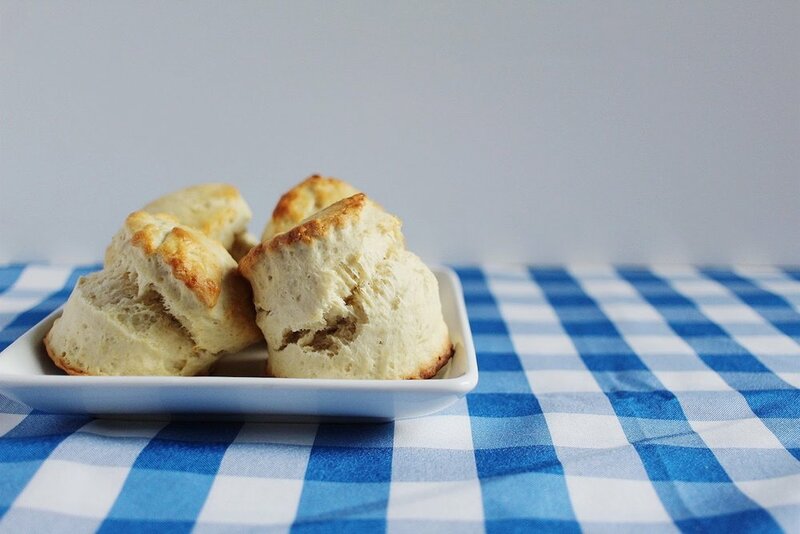 I think they make a good base for making the more Americanized scones we know (if that's more of what you're looking for). I'd bake again with adjustments. The lemon tart was delicious. A little rich, so a small piece will do, but very yummy. 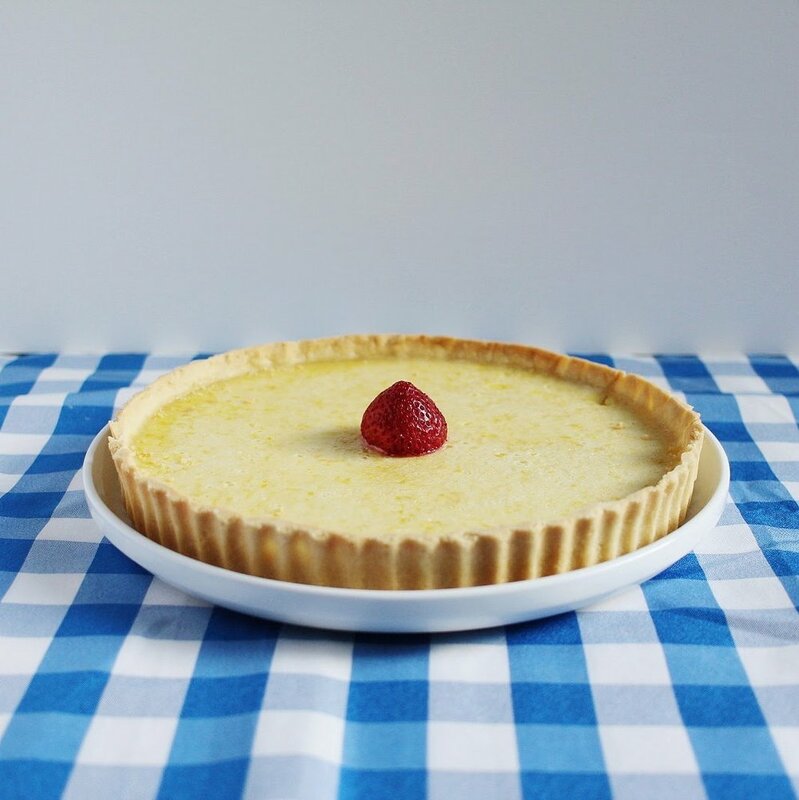 This was the first tart I've ever made, so I really enjoyed trying my hand at it. The crust was sweet and buttery, and the filling came together quickly, and set into tangy, creamy perfection. 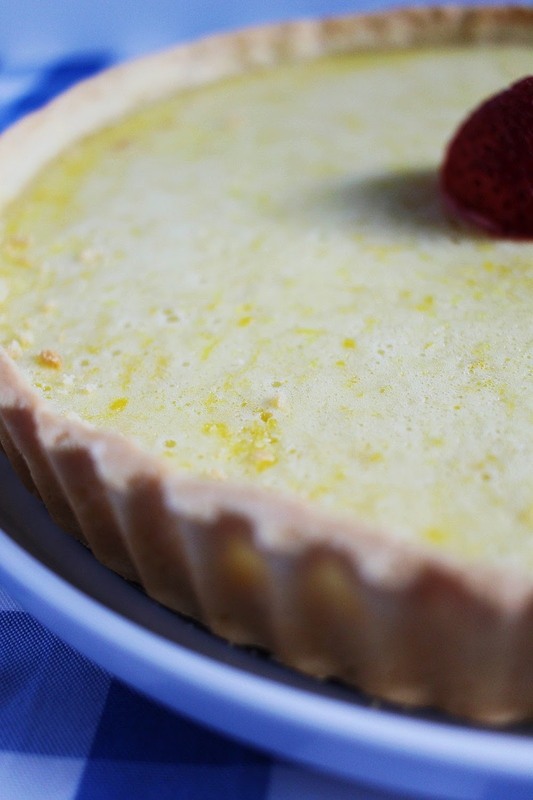 I would definitely bake again, and now I want to try all kinds of tart flavors! 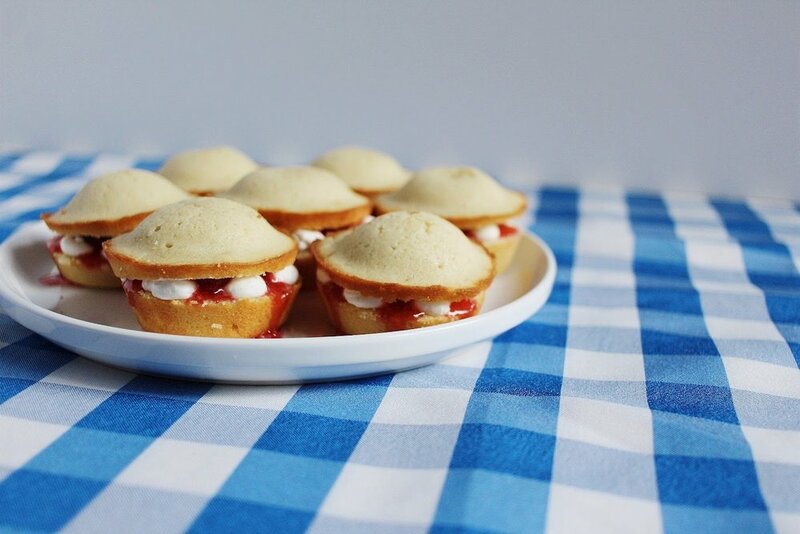 The mini Victoria sponges with strawberry jam and cream were delicious as well. This sponge mixture was far easier (and tastier, IMHO) than the sponges of some of the previous bakes. It was denser, a little dry, but the filling evened that out and made it the perfect tea-time cake. I'd bake a different batter altogether, but I love the mini versions and yummy filling. The final bake! In a way I'm happy we are finished, but at the same time sad. When your daughter lives far away it is easy to begin to feel a "distance" that not being in each other's world can bring. What fun this has been. I highly recommend doing something like this if you have someone dear to you living away. We've talked regularly and our FaceTime conversations hashing over our experiences has been wonderful. We are people who find humor in just about everything and laughing with her is frankly, "the best." Love you Joy, Joy. Now to the bake. These final three were very easy. The instructions were simple and the ingredients not unusual. 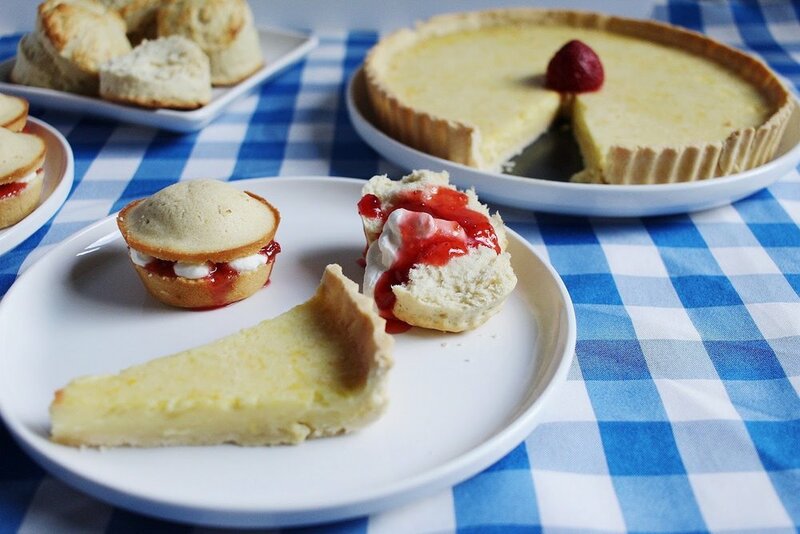 The mini Victoria sponge. The sponge actually tasted like I think a cake should be. While they were fresh they were delicious, but I think as they cooled they became dryer. This has been typical of most of the British sponges. DRY. The moisture of the jam and cream helped. I used mini muffin tins. I had home made jam already so I got to skip that step. 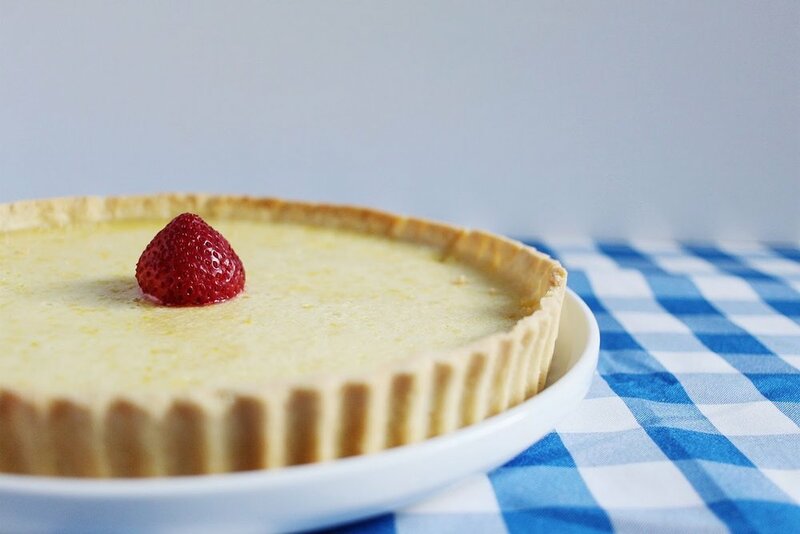 Lemon Tartlets. These were surprisingly simple. I've always wanted to make these and was happy to discover how easy they really are. Joy told me she had trouble rolling out the dough. Once I began I could see what she meant. To solve the issue I rolled mine out between two pieces of Saran Wrap. Beautiful, and problem solved. I will make this again only with different filling. While the lemon was very good, it would not be the pick in this house. Neither one of us garnished with chocolate as we didn't like the pairing of those particular flavors. 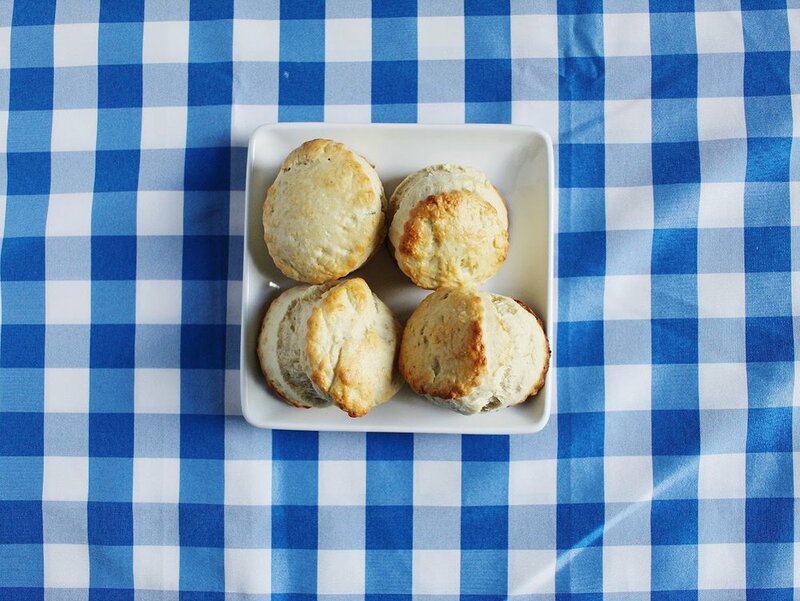 Tea Time Scones. Simply put, not a fan. Too dry. Thanks for coming along with us on our Great British Baking Show challenge. This entire challenge has been such fun. Expensive at times, and very frustrating at others, but worth the funny FaceTimes with my mom as we laughed over every hilarious misstep. As she mentioned, this series has been a great way to remain close even though we're far apart, and I couldn't agree more. I love talking to my mama regularly, but being able to enjoy one of our favorite hobbies together from miles away is extra sweet. And geez, we needed the "extra sweet" from all the annoyingly bland bakes we did!!! Haha!! I'm sad it's come to a close, but hopefully we can continue this tradition annually. Perhaps we'll even come back with our own showstoppers with the new techniques we've learned (and failed at!). I hope you all enjoyed this series as much as we did. BIG thanks to Cameron, our Star Baker. She did an incredible job and her writing skills are just as beautiful as her bakes. If she gets a blog going, I'll be sure and let you know! Do you have a favorite bake from this series? I'd love to know which ones caught your eye!